(Nanowerk News) At the heart of lasers, displays and other light-emitting devices lies the emission of photons. Electrically controlled modulation of this emission is of great importance in applications such as optical communication, sensors and displays. 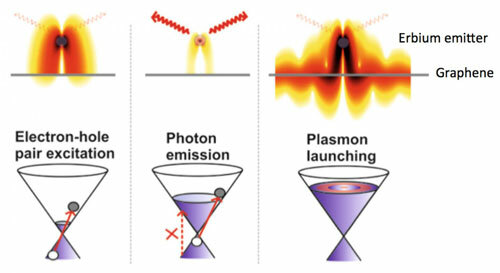 Moreover, electrical control of the light emission pathways opens up the possibility of novel types of nano-photonics devices, based on active plasmonics.